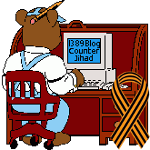 Islamic attire — 1389 Blog - Counterjihad! Muslim headscarf, headwear, hijab. What is the woman announcing to the world?